Le Mans is one of the longest-running and most spectacular endurance races in the history of motorsport. 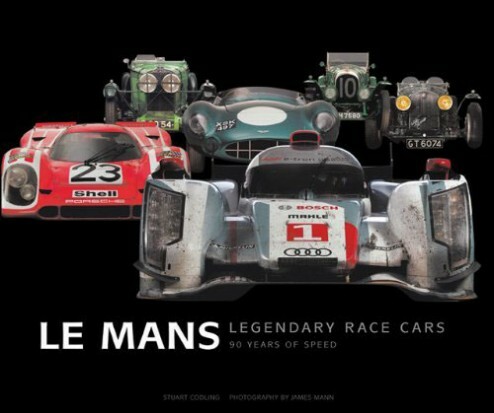 Spanning from the first 24 Hours of Le Mans in 1923 to the present day, Art of the Le Mans Race Car takes the reader through a visual review of 90 years of significant, stunning racing machines. Featured cars include racers from Bentley, Talbot, Alfa Romeo, Cunningham, Jaguar, Ferrari, Porsche, McLaren, and Audi, to name but a few. Striking studio photography specifically commissioned for this book from James Mann, one of the world’s leading car and motorcycle photographers, highlights the functional art of race car engineering, allowing readers to lose themselves in the myriad mechanical details within. Each car includes a profile setting out its place in Le Mans history, accompanied by historical images and commentary from drivers, designers, and engineers. Written by renowned journalist and broadcaster Stuart Codling, Art of the Le Mans Race Car offers a fresh, visually breathtaking telling of the beautiful vehicles that have graced the world’s most beloved endurance race.